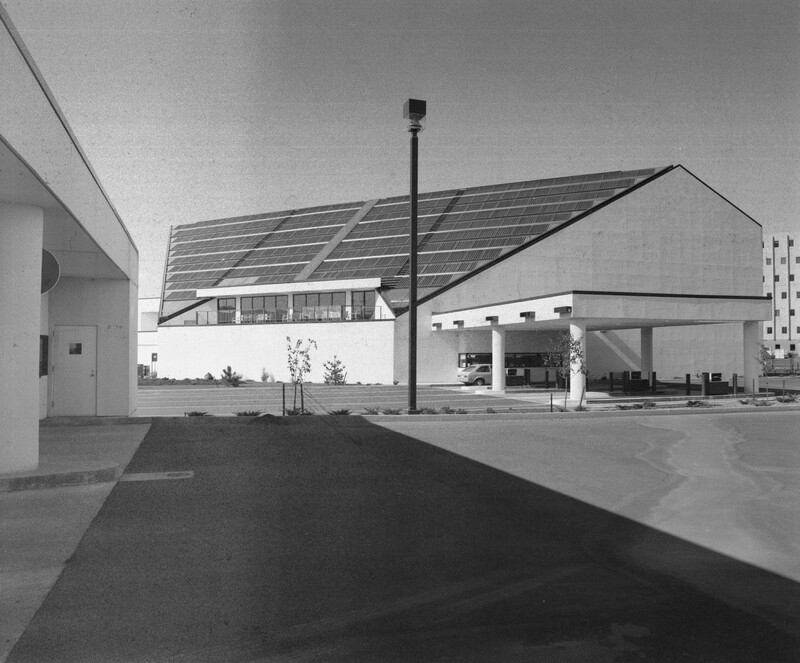 Large building with slanted roofing ahead with building also to the left." For permission to publish please contact Washington State University Tri-Cities' Hanford History Project (509) 372-7447. 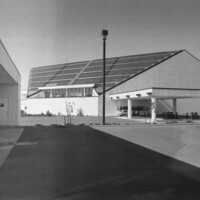 “Large Building ,” Hanford History Project, accessed April 22, 2019, http://www.hanfordhistory.com/items/show/1681.